The Muay Thai Trophy Step 4 card happens the same day as two other big profile events occur with Buakaw Por Pramuk coming to France for the Night of the Titans and Kaoponlek main eventing the Kings of the Ring 3. 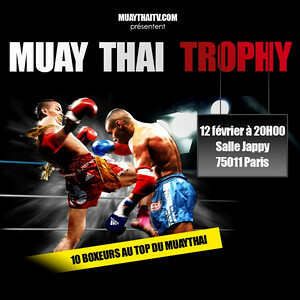 The timing would seem to surely cause a decline in attendance for one of the three events occurring on the same day but then it is France where Muay Thai is a very busy sport. The card while perhaps not as star name powered as the other two cards does in fact have some of the best Muay Thai talent in France. If the names seem less familiar to some of you I do not think they will be for long. Plus 3 fights other fights that are as yet still pending.